They say in big cities like Toronto you never get to know your neighbours. But Erika Strong really went out on a ledge to get to know hers. 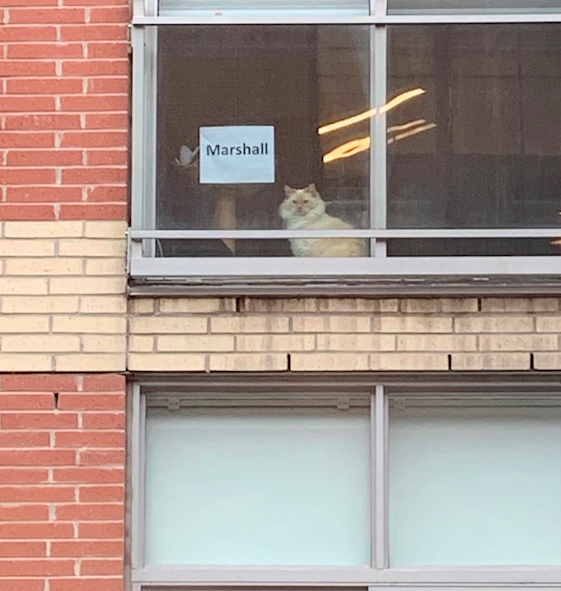 “Every day I stare out the window @shopify at a cat in someone’s apartment,” the Toronto woman wrote on Twitter yesterday morning. 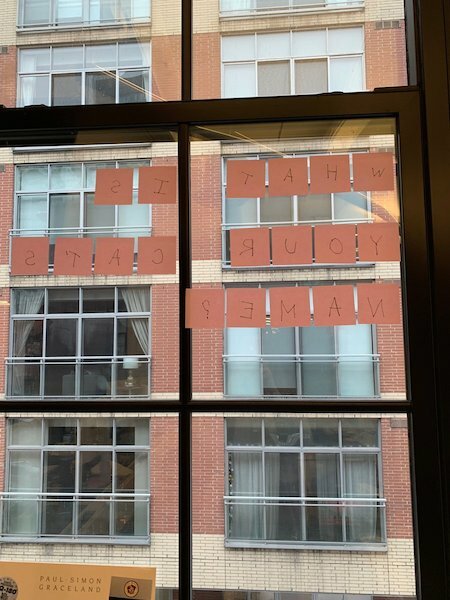 So, she and colleague Alison Fleming stuck Post-it Notes to their office windows to find out the fluffy cat’s name. Finally, after weeks of waiting, they got a response. The post has been retweeted more than 30,000 times and liked by, well, basically everyone. I like to imagine that the reason it took them so long to respond is because they had to print it out at work and remember to bring the piece of paper home. And every day they would say “Today’s the day” but they would still forget. It’s lightly crumpled so it checks out. Now, they are asking for followup questions for the Twitter-famous cat. Meantime, let’s just assume this is Marshall Meowthers.